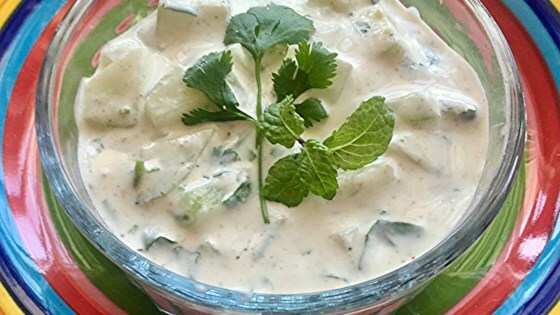 "This easy cucumber raita is flavored with fresh mint, fresh cilantro, and a touch of ground cumin. You'll be making this often!" Combine Greek yogurt, cucumber, mint, cilantro, cumin, salt, and pepper in a bowl; mix well. See how to make your own Indian spice blend at home.